How to send 40 documents at once! You know the situation. For whatever reason, it happens that you must send multiple documents. 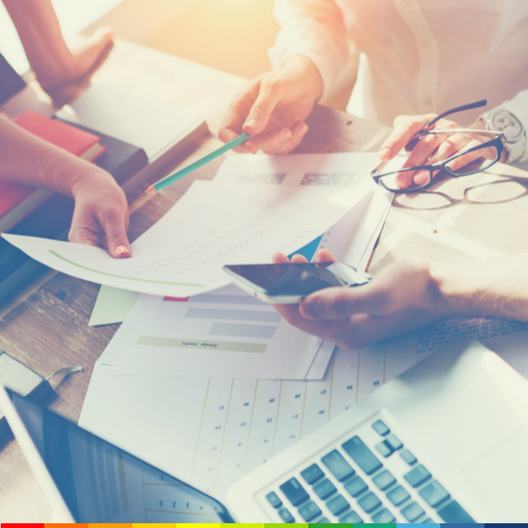 Your accountant needs your pay stubs from the past year, your insurance company wants your reimbursement statements or your power company needs your invoices. The search is on. 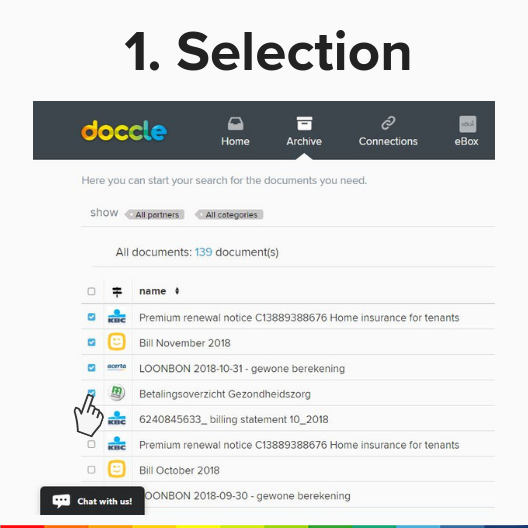 Fortunately, Doccle offers the option to send 40 documents at one time. The function “My Collection” in Doccle allows you to easily send multiple documents at once. This is practical for one single document, but you can also apply a filter based on the partner you received these documents from. 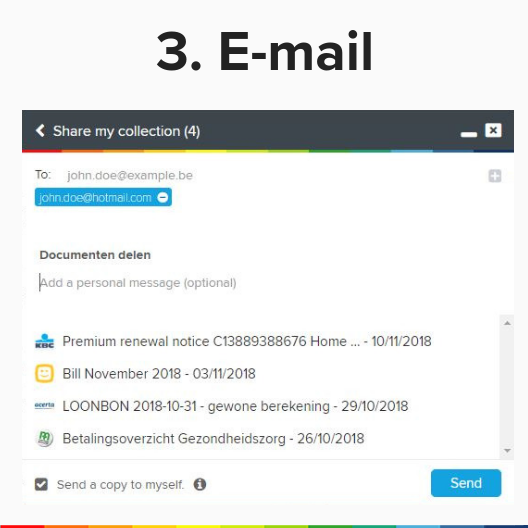 As an example, you can send an email with all your Telenet documents directly from Doccle that way. Not only will you save a lot of time, but it is also convenient not to have to add each document separately to your email. It is possible to select 40 documents to ben sent at the same time. After selecting those you want to send, you just have to enter an email address, click “send”, and you’re done! 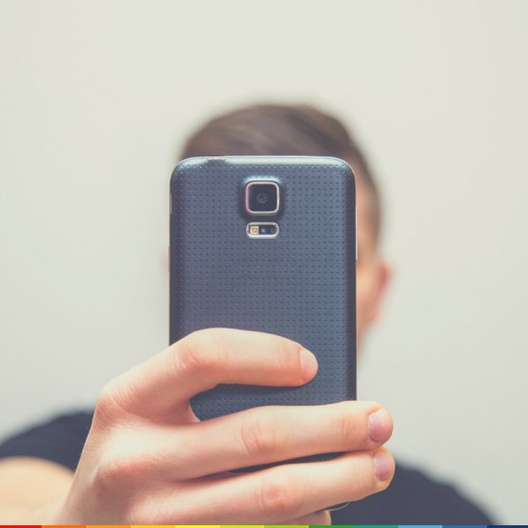 Do you wish to receive your documents and easily send them by e-mail to yourself or to others? Create your account below.